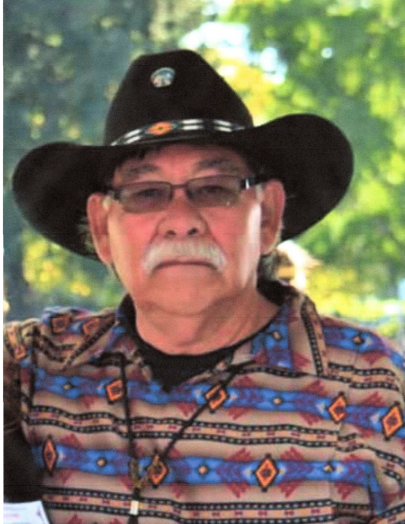 Joseph “Darrell” Vera, age 69 passed away on May 28th, 2018 at his home on the Tule River Indian Reservation. Darrell was born on July 9th, 1948 in Porterville to Joe Vera and Bonnie Kambick. He was a graduate of Porterville High School and attended Porterville College. Darrell enjoyed playing on fastpitch ball in the local city league, Native American Fatspitch as well as travel ball. When he was younger he participated and enjoyed rodeo. He was in Team Roping, Saddle Bronc and other events as well as Golfing with friends and family. His employment consisted of the Mineral King Pack Station, Sierra Forest Products, Tule River Tribe, Tule River Tribe Gaming Commission, Tule River Tribal Council Member, Tule River Housing Authority Board of Commissioners, Tule River Elders Council. Darrell served in the U.S. Army from 1968 – 1970 and was an active member of the Tule River Native Veterans Post 1987. He is preceded in death by his Father Joe Vera, Mother Bonnie Garfield - Kambick, Brother Timothy Vera and Sister Cathy Vera. He was a Beloved Brother, Uncle, Nephew and Friend. Darrell is survived by his Sisters, Nancy McDarment, Francine Garfield-Gibson, Veronica Garfield McDarment and Brother Chris Garfield all of the Tule River Indian Reservation. Darrell is also survived by his aunt Lydia Vera Santana, Delores Toots Christman and many nieces, nephews and cousins. Rosary Services for Darrell will be Monday June 4, 2018 6:00pm at the Mater Dolorosa Mission Church on the Tule River Indian Reservation, followed by Mass Tuesday at 10:00am. There will be a reception at the Tule River Elders Center following the services. Burial will be at the upper cemetery on the Tule River Indian Reservation Saturday June 9, 2018 at 10:00am. Donations can be made to the Tule River Native Veterans Post 1987, for future projects. Checks can be mailed to PO Box 589, Porterville, Ca 93257.